Tambourines are hand-held musical instruments that are part of the percussion family. They usually feature a round wooden frame, heads made from parchment or skins, and bells (or jingles) set into the frame at set intervals. The tambourine is played by striking the head and by shaking, which puts the jingles into motion. There are several types of tambourines that feature slight differences from one another. The pandeiro originated in Portugal, then was brought to Brazil. It's similar to the basic tambourine except the head tension is more adjustable and the jingles sound crisper. The riq is a traditional musical instrument of the Arab culture and holds an important place in its musical history. It features 10 pairs of jingles and is sometimes called a "shaker." Buben tambourines are present in several cultures, including Russian and Polish. The frames are made from wood or metal, and the jingles are rings, miniature bells or cymbals. The daf tambourine originates from many cultures such as Turkish, Iranian and Indian. They are fairly large instruments and usually feature about five jingles and thick heads. 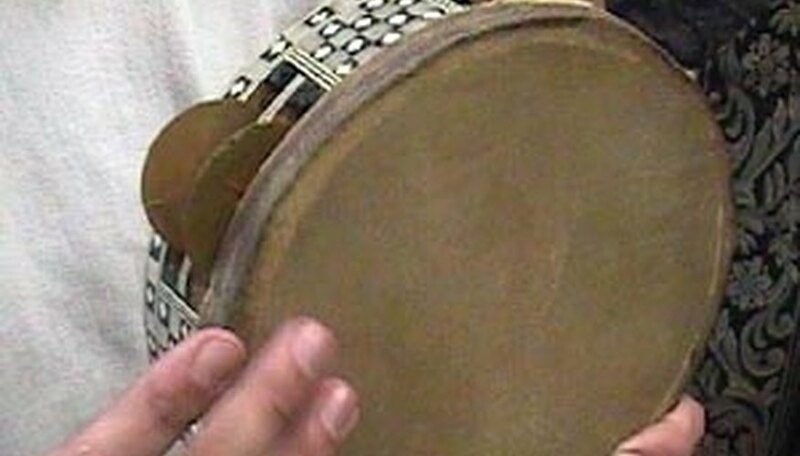 Dayereh tambourines are used in musical cultures such as Macedonian, Asian and Balkan. They are typically midsized instruments with goatskin heads and metal rings along the inner edge of the frame. Stacy Taylor has been an Alaska-based freelance writer for 25 years. Her expertise includes health, childhood development and disabilities, photography, history and the arts. Her articles have appeared in "Events Quarterly" magazine, AssociatedContent.com, and eHow.com. She also writes web content for private clients. Her professional experience includes writing, photography, book cover design, publishing, construction and social services. What Is the Difference Between a Djembe Drum & a Doumbek Drum? What Are Maracas Used For?